In this guide we will take you through the steps of installing hacked clients for Minecraft in the new Minecraft launcher. First of all, we recommend that you always start out by reading the article where you found the client AND that you read the Read Me file included in most downloads. Usually the read me is a text file called readme.txt. If the download is packed in either a .rar or .zip file, you must first extract it. Extract it anywhere you want. Click on “Open resource pack folder. Create a new folder inside the versions folder, e.g. “Hacked Client”. If it has a different name than “Hacked Client”, you shall NOT rename the files. Copy the .json file from the original Minecraft version. Rename it so it has the same name as the .jar file. Open the .json file in Notepad. Change the “id” so it has the same name as the .jar file. Click on “New Profile” and chose a name for the profile. In “Use versions:” choose “release Hacked Client” or whatever name the client has. Chose the profile in the drop down and start Minecraft ! 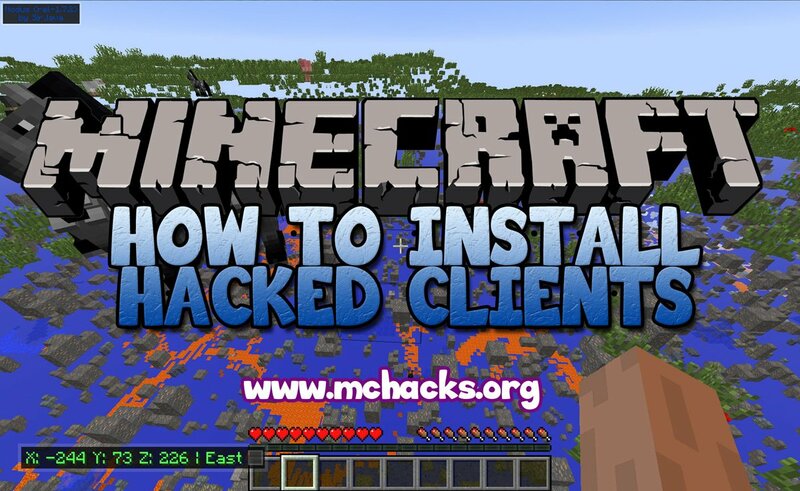 We have made a video on how to install hacked clients with Nodus Client as an example.